47s and other Classic Power at Southampton: Eastleigh, Friday 15th May 2015. 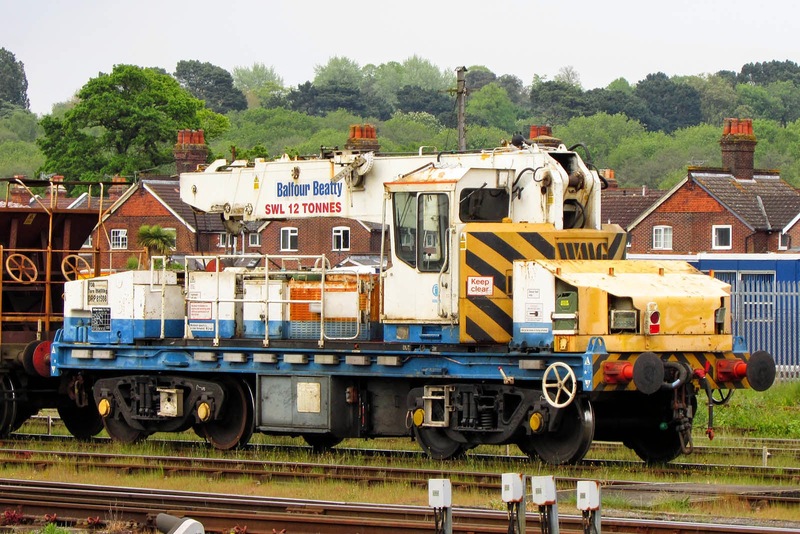 A selection from Eastleigh on Friday evening. 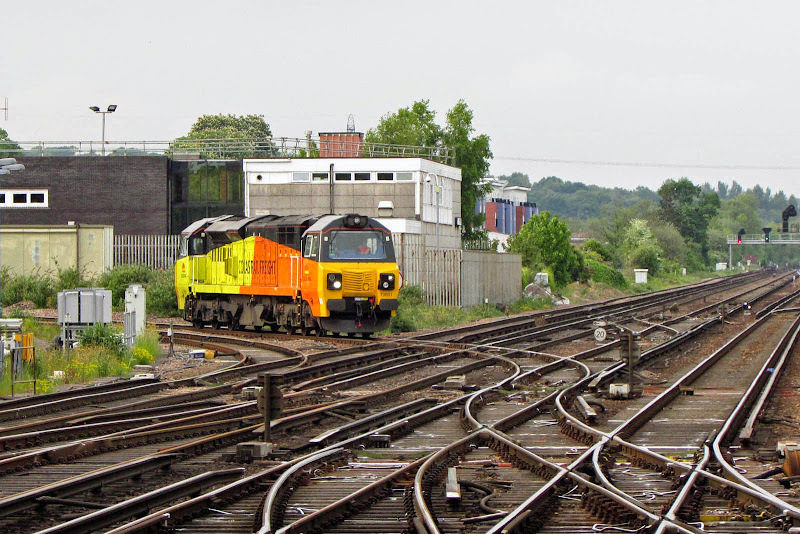 66850 David Maidment OBE in the East Yard. 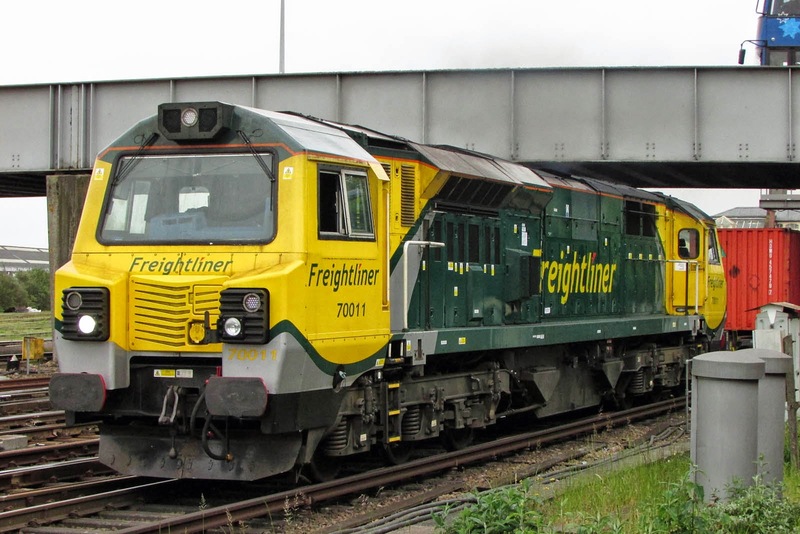 Freightliner HeavyHaul (DFGH) 70011 departing Eastleigh with a delayed 4M99 16:57 Maritime - Trafford Park. 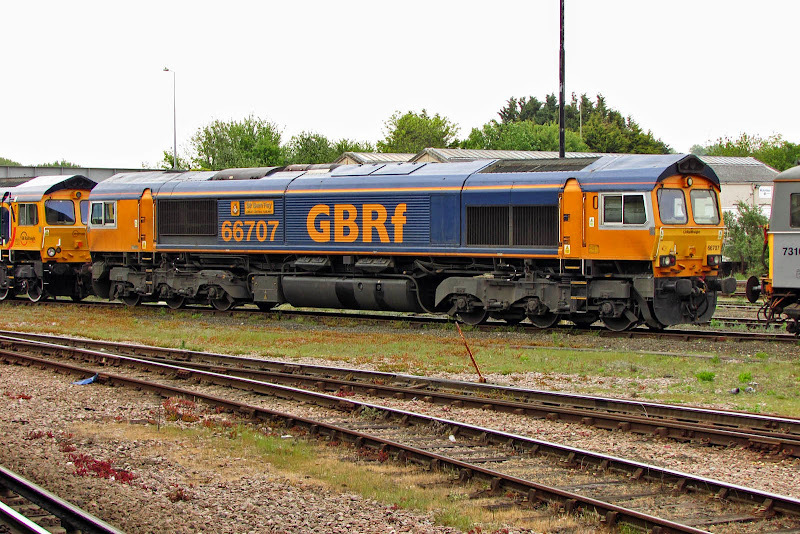 66707 Sir Sam Fay. 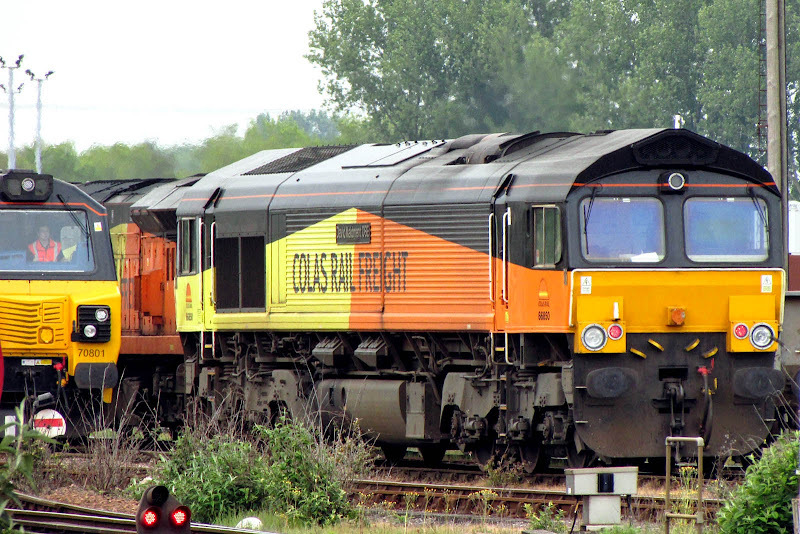 GBRf have been upgrading the cab-side windows of their earlier Class 66s. 70801 arrives light engine from Westbury. DRP81508 built by Plasser in 1979 (Works No.5506).